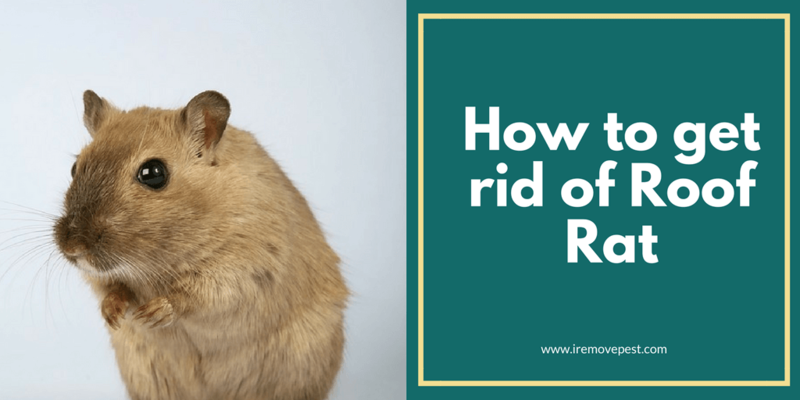 →How to get rid of Roof Rats quickly? It is enough pain dealing with rodents that build their nests on the ground. But what is more troubling is when you need to worry about rodents that are only comfortable with territories that are above ground. Talk about some unwelcome friends who love to spend most of their time in your attic – Roof rats! Roof rats may be slick, little and even cute in the way they look. But one very unpleasant thing about them is the level of destruction and havoc they bring to your home. Do not get fooled by their little size. The earlier you tackle their existence in your house the better it is for you. Hence, if you are familiar with the hazards usually caused by these roof rats, then this article will be beneficial to you. Detailed below are practical ways you can get rid of roof rats in your attic and other hiding places without breaking a sweat. One very convenient way of getting rid of roof rats in your house is to inspect the state of your attic and garage regularly; both locations appear to be favorite hiding spots for these rodents. Watch out for teeth marks on items like cables, woods, pipes, etc. they love to gnaw at anything they see. Some rodents’ experts say they do that to prevent their teeth from growing extremely long. The reason why inspecting your property is very useful in this regard is because the more you carry out these inspections, the more your chances of displacing the roof rats from their hideouts. So you need to do your rounds on a much regular basis to displace these rodents from their hiding places. Roof rats will hardly thrive in an environment where there is no water or food. It even gets more interesting for them when they have easy access to your property. Hence, a right way of frustrating their efforts of settling in any place is to deprive them of food, access, and water. If they lack these things, they would undoubtedly have to move onto somewhere else where they can access those necessities. These are some ways you can clean your property from time to time. Dense vegetation, wood piles, and palms are comfortable hiding spots for these creatures. You need to make sure these places are always clean. Citrus! I bet this sounds familiar. The citrus fruit happens to be one of the significant sources of water for roof rats. They just cannot help it when they come in contact with this fruit. They just want to eat their way through it. So to prevent them from getting any citrus fruit, make sure you pick up any citrus fruit that has fallen from its tree. Make sure the entire space around your property is void of citrus fruit. This way, you would have one less thing to worry about. Failing to get rid of pet food before night is like organizing a feast for these rodents. Make sure you remove everything they can feed on: tree bark, fresh fruits, vegetables, nuts, and seeds. If you have some bird feeds, put it in a much-secured place. Bird food is one of their favorites. You will need to make sure they do not have access to your garbage by putting your trash in tightly covered containers. Dog droppings are also useful to them; hence, you need to ensure you pick up your dog droppings as much as you can. Doing it on a daily basis won’t be such a bad idea. Imbibe the habit of storing your food items in a well-sealed container. These annoying creatures should not have access to your foodstuffs. There are rat-proof containers that have been designed for this purpose. Stagnant water is also an excellent source of water for them. You will need to make sure there is no standing water especially those gotten from sprinklers or irrigation channels. Avoid leaving little water outside overnight. Depriving them of any water source will significantly dampen their chances of survival. The focus of this measure is so you can deprive them of the necessary things they need for their survival. Without any food or water, for them to survive, they will be left with one choice – seeking food from your traps. The moment these creatures gain access to your home they have only one mission – to mess up everything that comes to their path. It becomes even worse when they begin to increase in their numbers. In that case, the only way of preventing their entrance is by sealing up every hole in your house. Regular maintenance of your vent could be beneficial too. There is one thing you, however, need to be wary of before sealing up any holes – check for any roof rats in the attic first. You do not want to have to deal with the odor of dead rats in your attic after sealing. It’s quite discomforting. Cutting down the numbers of the roof rats in your house is an excellent way to start saying goodbye to them. You can make this happen by using bait traps or snap traps. Traps are considered most effective in reducing their population because you won’t have to deal with that pungent odor that comes out of the dead rats afterward. Nevertheless, you must be patient with your traps because while roof rats are no geniuses, they do display a little level of brightness. Make sure the traps are on their travel path, and with time, you can reap the reward of your hard work. The rattling sounds that go on at night, gnawed cables and other materials, odors that may result from the dead, etc. are all discomforting experiences one may have to deal with when you have these roof rats in your house. However, this article happens to have given you some brilliant tips on how you can make roof rats a thing of the past in your property. Apply the above tips where necessary, and you and your family can live peacefully and happily ever after again.